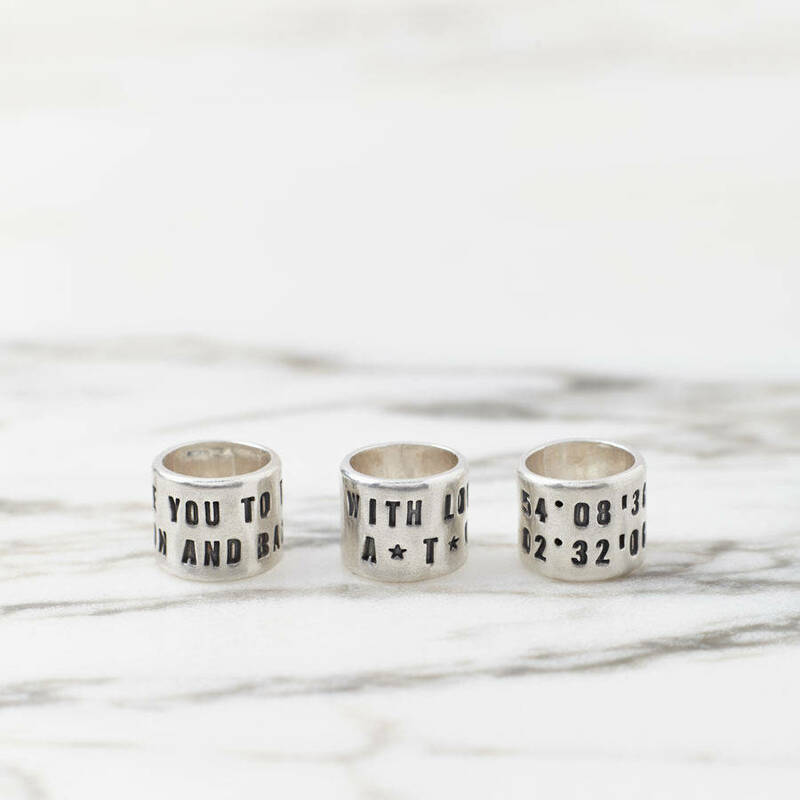 Add to your bracelet or necklace and build your story. Individual personalised pure silver links for your Personalised Storyteller Bracelet/Necklace. 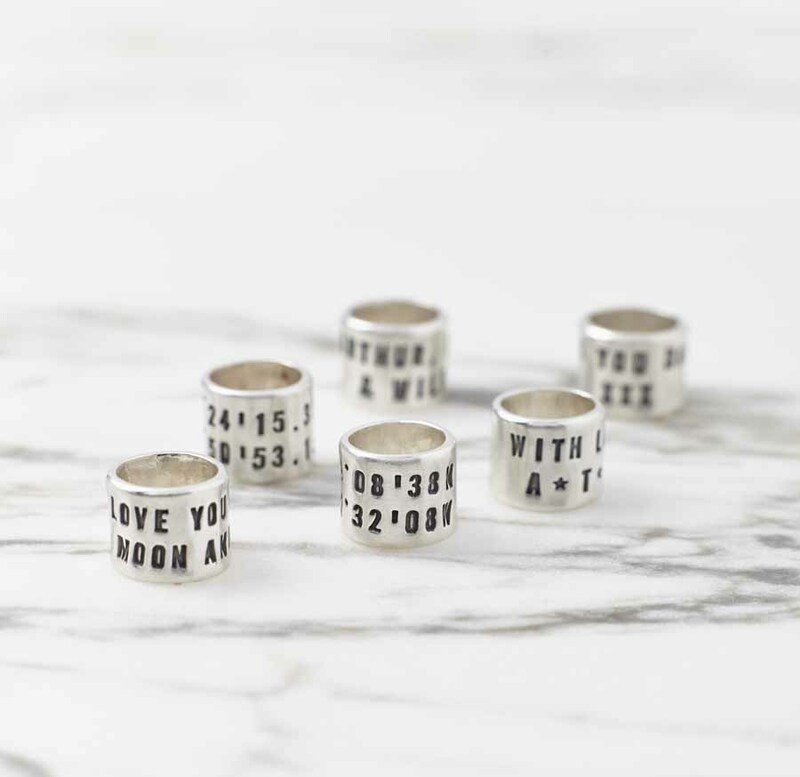 Each silver link can be stamped with any one of the following: the longitude/latitude coordinates of a special place, names, dates and times, a short message, a birth weight, a favourite holiday destination, a secret message…the options are endless. 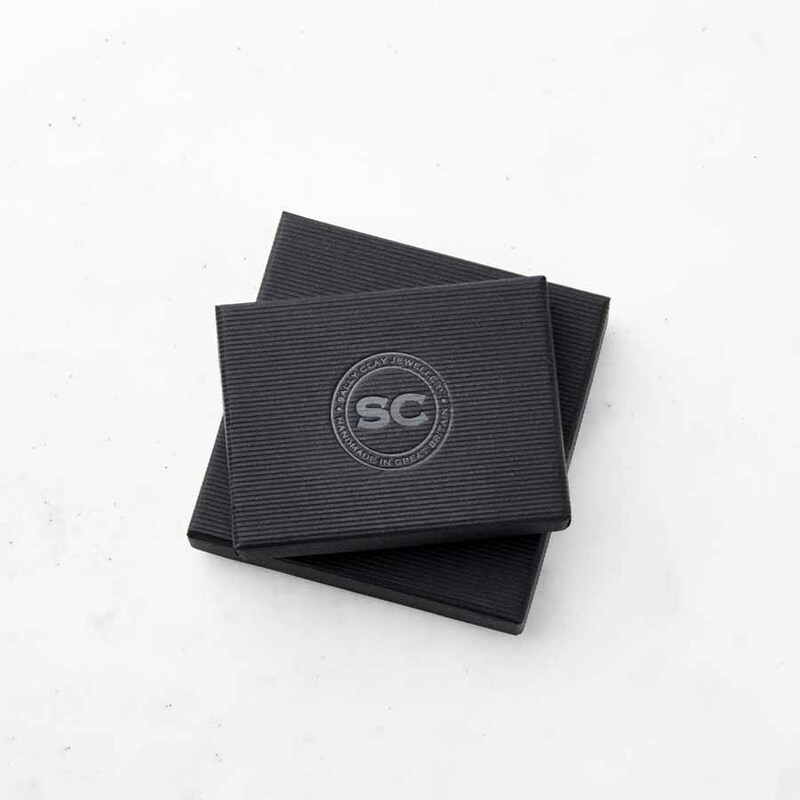 Please check that you have entered all personalisation, product options and delivery information correctly. We cannot guarantee that any amendments can be made once the order has been placed. Up to 30 characters (including spaces) can be stamped onto each silver link over two lines, with a maximum of 15 characters per line. All stamping is in upper case for clarity.